Fresh air and clean water, combined with traditional farming practices mean that our restaurants have access to some of the world’s finest ingredients. The perfect place to enjoy a spot of lunch or a frothy coffee after a stroll around the Lews Castle grounds. Fun castle-themed kids’ menu also available. With views of the beach and harbour at Ness, Café Sonas offers a range of delicious fish and seafood dishes in an idyllic location, as well as traditional Hebridean baking. Seasonal opening hours so it’s always worth checking their Facebook page first. The Hebridean Brewing Company in Stornoway produces three fine local dark beers, which are sold at local supermarkets and food stores. The islands are too far north for any vines, but of course there is always whisky, produced again on the islands for the first time in 200 years by the micro-distillery Abhainn Dearg on the west side of Lewis. On Harris, the island’s newest distillery opened in 2015. And while the Isle of Harris Distillery waits for its whisky to mature, it is currently producing Harris Gin, featuring sugar kelp among its botanicals. Stornoway Fish Smokers – From the old heart of the herring industry, the famous Stornoway kippers are undyed and unsurpassed. Try the Stornoway smoked salmon for pure excellence and sample the other rare smoked delicacies. MacLeod and MacLeod (Butcher) – One of the town’s butchers which was instrumental in gaining Protected Geographical status for the world-famous Stornoway Black Pudding. No visit to Stornoway is complete without sampling some “Marag Dubh” . Harbour Seafoods – located at King Edward’s Wharf, Harbour Seafoods offers a wide selection of delicious seafoods from the waters around the Outer Hebrides. Stag Bakeries – Quality baking from the Isle of Lewis; their oatcakes, shortbread and seaweed water crackers are all worth trying. Uig Lodge Smoked Salmon – Scottish salmon fillets hand smoked to a traditional yet secret recipe. The resulting smoked salmon is undoubtedly amongst some of the finest in the whole of Scotland. 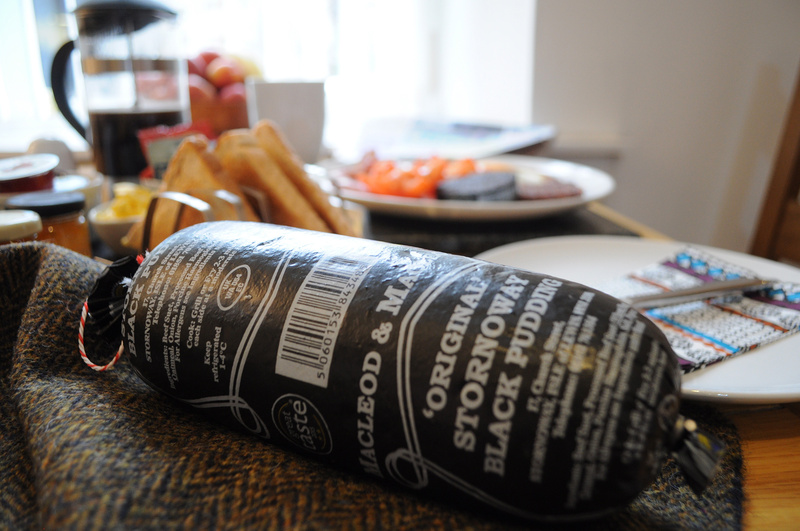 Stornoway black pudding has been called “the best sausage made in the UK” and one of the finest blood puddings the world has to offer. They are moist and firm in texture, with discernible, yet small, fat particulates. The Scottish oatmeal used in Stornoway Black Puddings is responsible for its good, rough texture. Stornoway Black Puddings may be cooked in, or out of the skin, they maintain their shape well throughout the cooking process. Once cooked, they appear almost black and break apart very easily when cut, yet do not significantly crumble. The meaty flavour is moist, rich, full, savoury, well seasoned—but not spicy—with a non-greasy, pleasant mouth and clean after taste feel. There are superb sandy beaches at Port of Ness, Bosta, Coll, Traigh na Berie & Uig Sands Lewis where the famous Isle of Lewis Chess Set was found. 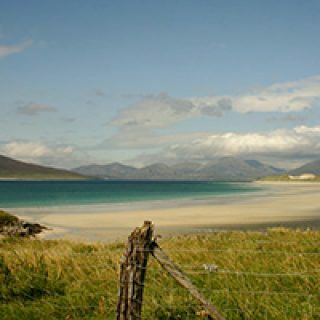 The coastal areas of the Outer Hebrides provide countless opportunities for sports and adventure. 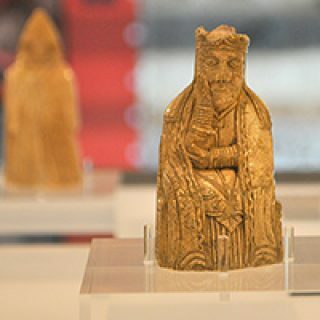 Scotland has a rich and diverse history, having at times been home to the Celts and Vikings. If you can't see what you want, please do still get in touch as we may have availability at other properties not detailed on this site. Thank you to Mo Thomson of Mo Thomson Photography for permission to use his wonderful photographs on our site. © 2017 Copyright by Hebridean Luxury Holidays. All rights reserved. | Website by Source Marketing.